Greetings to you, dear reader. In today's article, we will talk with you on such, undoubtedly, useful, topic as - synchronization. Synchronization allows, at one point, not to lose all the data from your smartphone based on the Android operating system. Android contact syncing also useful in order not to lose phone numbers from your notebook. Below you can familiarize yourself with the programs for synchronization. I tried to include the most high-quality and intuitive tools into the selection of synchronization programs. In the window that opens, select "USB cable". After the above, simple operations the program will start synchronizing your device with your PC, it may take some time. 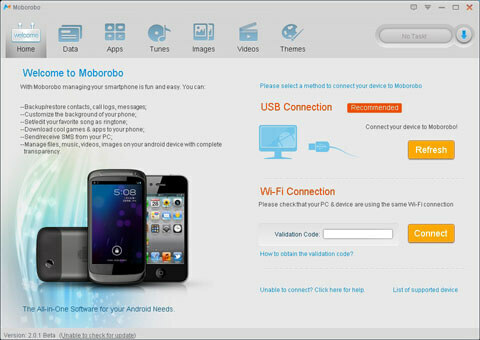 Also, using this synchronization program, you can manage data on your Android device, directly, from your PC. Another good program for managing and synchronizing an Android gadget with a personal computer (PC). This software tool, like the previous one, is completely free. So, a little instruction on how to use this program.. In the program we find and click on the “Refreshing” button (located on the right side of the program). Everything, now you can manage your gadget and synchronize it, directly, from your PC. To understand the work with the program will not be any difficult, the interface is not complicated and intuitive. 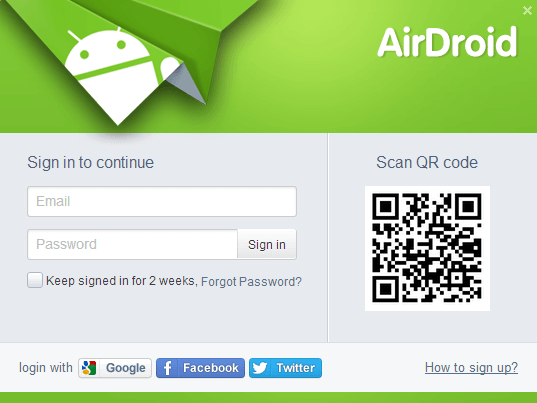 Next, a QR code appears in the web interface, you need to scan it using your device. Thus, you have access to the program on your PC. That's all for today. I hope you learned a useful tool from this material and at least one of the programs presented to you came up. Let me remind you once again - do not forget to do synchronization regularly, because this simple operation will allow you not to lose important data on your Android device..
MyPhoneExplorer program is not able to establish connection with the phone (Android 4.4.2), but it constantly requires money.